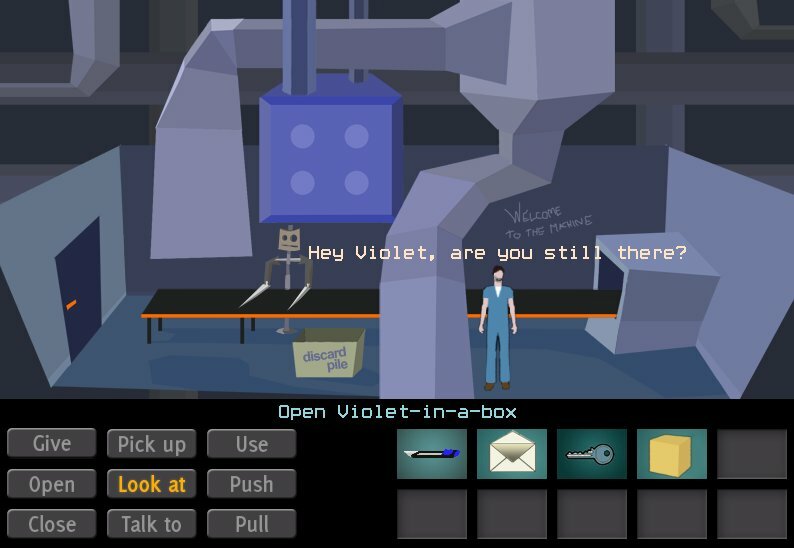 “Jack-in-the-Box-Factory” is a classic point & click style adventure game by Jussi and Toni (+ music by Heikki). It was made in two-month timeline while learning and experimenting with a game engine software (AGS) we hadn’t used ever before. Plot: Player controls character Jack, who’s been working in a box factory for years doing same repetitive task every day, never questionizing what is it all about, until now when machine goes broken and he’s kind of forced to go deeper into the factory. At the moment game is in demo phase, meaning it only has some starting elements of the story but player can still get a clue of what’s going on. This entry was posted in Demo Day 2011 Winter, Game Design and tagged ags, games, Heikki Sillanpää, Jussi Pullinen, Toni Enström. Bookmark the permalink. I like the colors and funky 3D style. I programmed some of Heikki’s graphics into a point-and-click game using Adobe’s Flash Catalyst. It worked pretty well for the task.